Calvin Coolidge had the political sense to distinguish between a question designed to bait him and a request for knowledge. Harding could be manipulated; Coolidge could not be coerced. Harding could be distracted from his goals; Coolidge retained focus on his objectives. Those of the “political mind,” as he called it, continually underestimated him as a campaigner, strategist and leader. Based on all they thought they knew about rising to the pinnacle of power, he was not supposed to be there at all let alone win resounding election on his own merits, without being beholden to anyone in the “club” for his success. When the Democrats emerged from the circus of their 1924 convention after 103 ballots, John W. Davis was the nominee. In August, he had finally landed on the issue with which to bait Coolidge. He could not use the economy because Coolidge Prosperity, thanks to a tenacious combination of budget cutting and further tax reduction, was underway. He could not use law and order because Coolidge had already preempted the issue on every front from lynching to labor to immigration to cleaning up the messes left by Harding’s unscrupulous “friends” in the Justice and Interior Departments as well as the Veteran’s Bureau. Davis finally could force Coolidge into a very tough position with voters — call out the Klan, Davis challenged in August that year — a move that would surely alienate one side or the other. Instead, Coolidge said nothing. On the contrary, he had already made clear his resolve against the Klan. To address it would simply legitimize its influence. Coolidge was not going to validate its destructive mission. Instead, he had already begun traveling around the country to speak and participate in the projects of every group the Klan targeted: Jews, Catholics and immigrants, sending the proper message that each audience was engaged in the building up of our ideals while hatred, division and segregation contribute nothing to America’s progress. The previous October at the White House he met with and expressed support for the American Jewish Congress. In January of 1924 he commissions W. E. B. DuBois, known for his work in education and toward full assimilation, to represent the United States at the inauguration of Liberia’s new president. In March Coolidge had taken up the unsuccessful effort under Harding to appoint Walter L. Cohen, an accomplished Louisiana businessman, to serve as collector of customs for New Orleans. After securing him as a recess appointment, Coolidge finally saw the Senate confirm the man despite the opposition of Cohen’s own governor, and federal Senators. On June 6, Coolidge comes and speaks to Howard University before the students and faculty of that flourishing institution. Their motto, Veritas et Utilitas (‘Truth and Service’), no doubt held great meaning for Coolidge. On August 9, Coolidge, in response to a letter from Charles F. Gardner who was protesting the candidacy of a black man in his area, writes a resounding rebuke published in The Literary Digest that same month. On August 23, Coolidge’s Vice-Presidential nominee, Charles G. Dawes, goes straight at the Klan with a public condemnation during a speech in what was a Klan-stronghold, Augusta, Maine. Two days later, August 25, Coolidge and Dawes meet in Plymouth where the President commends the speech as “good.” A hearty endorsement with someone of his reticence. On September 2, expert attorney, William Clarence Matthew, who happens to be a black man, is named to help the Coolidge campaign. 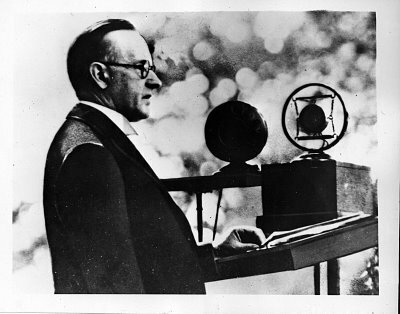 On September 21, Coolidge addresses thousands of Catholics gathered to hear him talk about “Authority and Religious Liberty” to the Holy Name Society in Washington. On September 26, Coolidge meets with “Mother Jones,” the controversial co-founder of the Industrial Workers of the World, an organization largely comprised of new immigrants. On October 15, Coolidge takes up the universal impact of “Religion and the Republic,” reminding the nation of each individual’s moral obligations to others. 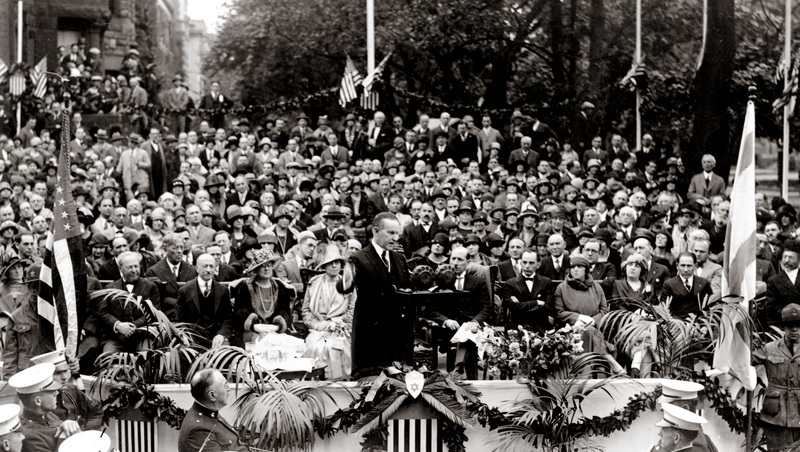 On October 16, Coolidge stands before a group of recently naturalized citizens and praises “The Genius of America,” a melting pot built on common ideals of freedom, law and equality before God. The following day, October 17, Coolidge welcomes a delegation of actors and performers including the Lithuanian-born Jew, Al Jolson, already known for his belief in full assimilation for minorities. Finally, on October 26, Coolidge speaks on “Discriminating Benevolence” to the Federation of Jewish Philanthropic Societies of New York City. 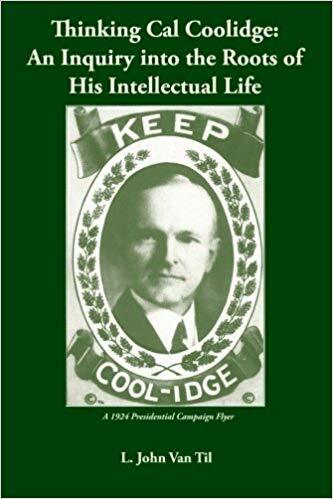 While this is but a partial chronology of all Coolidge was doing, obviously not including all he did with those the Klan despised throughout his years in office, it illustrates how the Klan’s retreat during the Coolidge years was hardly coincidental. It all happened without passing a law, issuing an executive order or reacting to others’ expectations of what he should do. Actions always meant more than words to Coolidge. It was not enough to say you cared, you best show it. Rejecting the premise set for him, Coolidge pointed back with his behavior to something more essential than our base desires…the love we owe our neighbor. Coolidge took action and those quiet rebukes accumulated until no respectable place was left to nurse animus toward skin color, religious belief, or ethnic background. He succeeded in revealing the Klan for what they were: small, petty, and unreasonable. He staked out the ground for respect and understanding when it was most unpopular to do so and thereby, without saying so, helped the country reconnect with its ideals. President Coolidge speaking at the dedication of the Jewish Community Center in Washington, D.C., May 1925.